Zombies and evil forces are coming in endlessly! You will be the last guardian of the world, join Zgirls League, and fight with blood! Rebuild our home and dominate the world! It's been 3 years since Zgirls has been fighting against zombies. Zgirls has mastered a vast amount of advanced military technologies. 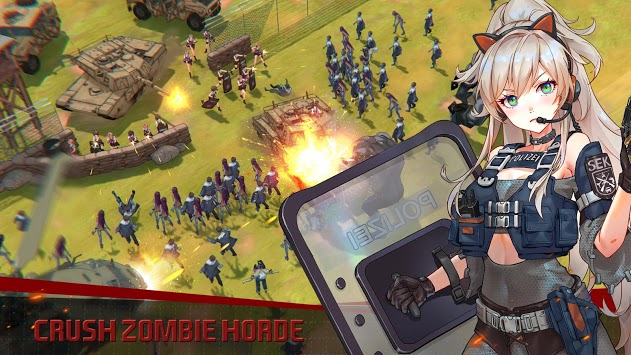 However, terrorists controlled upgraded zombies and invaded Zgirls bases. The bases got compromised while they were under loose defense. Now, you commanders will lead Zgirls fight with decisive organizations. Build your own military empire, conduct all kinds of army, and rebuild the world order until to be the new leader! - Zombies are everywhere, enemies are approaching, and the world has come to the end. Commander, are you ready? 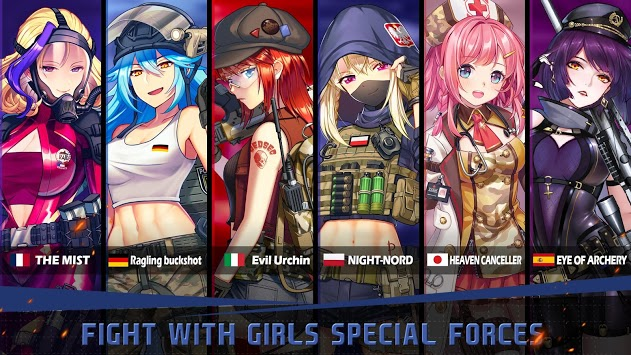 - Unique anime military art style, world military buildup such as United States, Russia, Poland, they all follow your lead and fight for you! - Epic real-time PVP and co-op battles, compete with thousands of players online from all over the world! 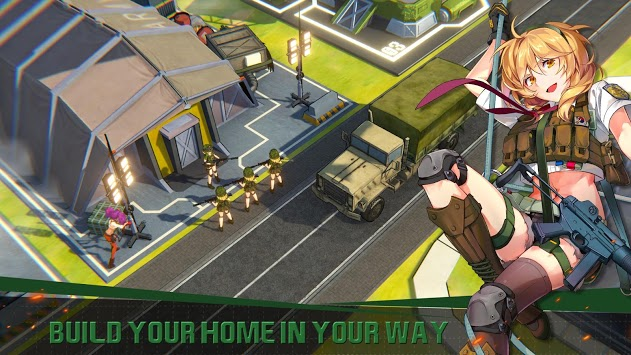 - Plan battle strategies with countless combinations of technology, troops, and Heroes! - Create alliances, searching allies, mutual business strategies, and conquering the world.